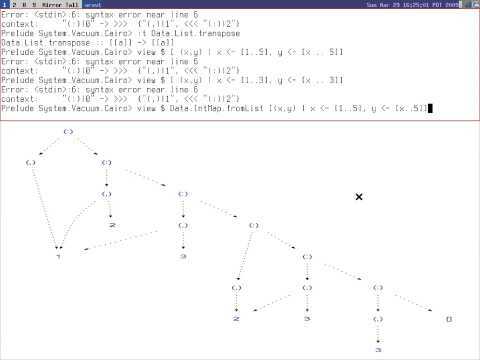 This entry was posted in data visualization and tagged graphics, haskell. Bookmark the permalink. At 0:30 – does it really share the ? One of the  has type [Int] and the other one [[Int]]. That was awesome. Wanna more! Very cool and very impressive. I hope to play with it soon.